Breakout Gaming raised only 387 BTC of the 1,000 BTC it aimed to raise in its initial coin offering (ICO), which began on October 21 and ended on November 19. The launch of Breakout Gaming was announced on September 16. The project’s marketing partners are Huck Seed and Johnny Chan, both former champions of the World Series of Poker (WSOP). Professional poker players Ted Forrest, Todd Brunson, Jennifer Harman, and Vladimir Shchemelev have also pledged their support for Breakout Gaming. The platform’s struggle to launch, however, is because of poor market timing, according to Billy Chung, the chief executive officer, and Gian Perroni, the marketing head. They say: “When we first launched our crowdsale, bitcoin was in a free fall, which cast a chill with potential purchasers—not only for our project but for the crypto community in general.” He said that one more fund raiser will be held, and if the ICO does not meet its goal of raising 1000 BTC, private financial sources will be used for the project. Both Chung and Perroni are absolutely sure that the project will succeed. They say that the purpose of the gaming property is to “support the value of the coin.” The coin becomes successful if the gaming is successful, and the gaming will be made successful by a combination of trained personnel and excellent products. When Breakout Gaming is finally launched, it will accept bitcoin, breakout coin, and fiat currencies. The 7m BRO will be given away to customers through guaranteed prize pools and giveaways over the course of two years, and Perroni hopes that this will attract new players to the platform. 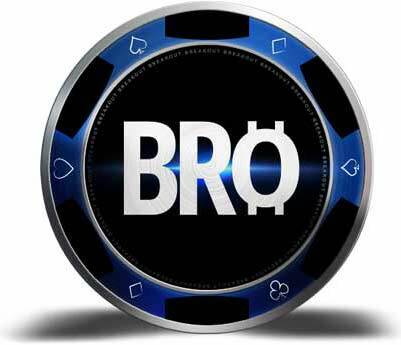 Breakout Gaming has already announced that several poker players, who are already familiar with digital currencies such as bitcoin, are interested in the new project. Although all of them will be sponsored players on the platform, some of them have expressed interest in directly investing in the venture. Players such as Huck Seed know the new technology in depth. Perroni said that Breakout Gaming may apply for a license at Kahnawake in Canada as this would enable it to strategically position its properties in various target markets.